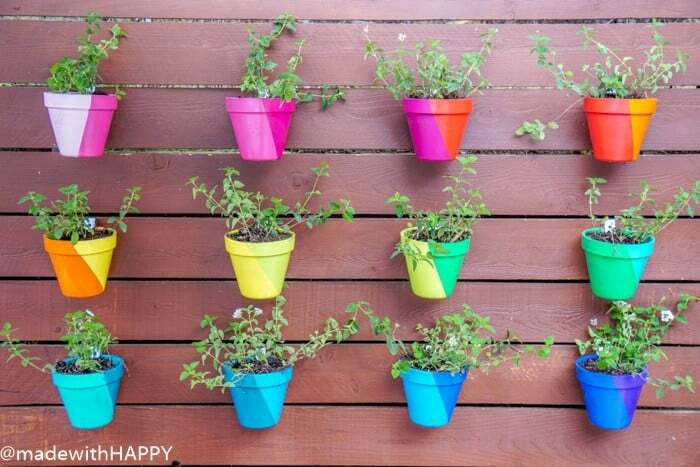 We’re sharing this fun DIY rainbow vertical garden that will light up any space. 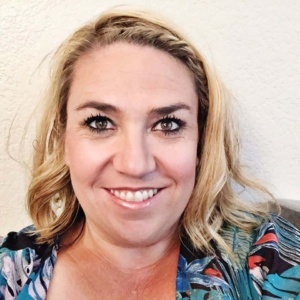 Thank you Rust-Oleum for sponsoring this post. Now that Spring is here, we’re busy, like I am sure some of you are, cleaning and sprucing up our yard and garden. We have had a blank horizontal fence in our backyard for quite some time now, and I have been looking for what would be perfect for that space. 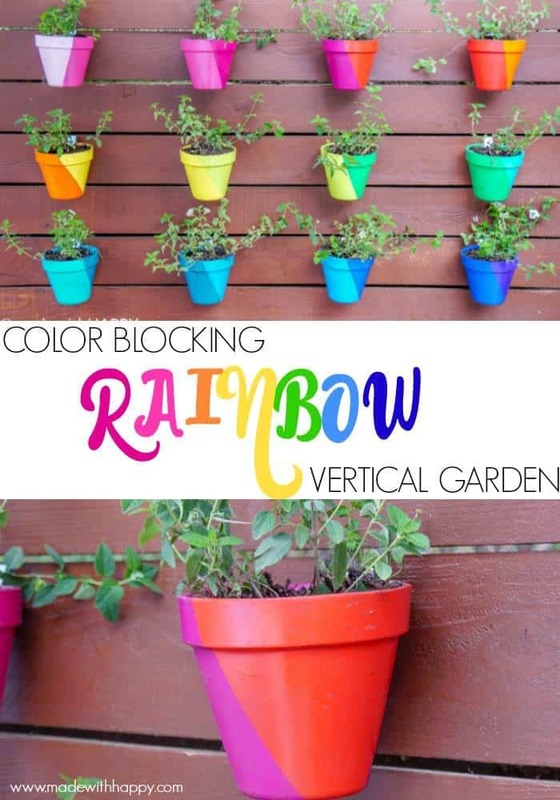 Not really finding what I wanted, I decided to take it into my own hands and create this fun Rainbow Vertical Garden myself. 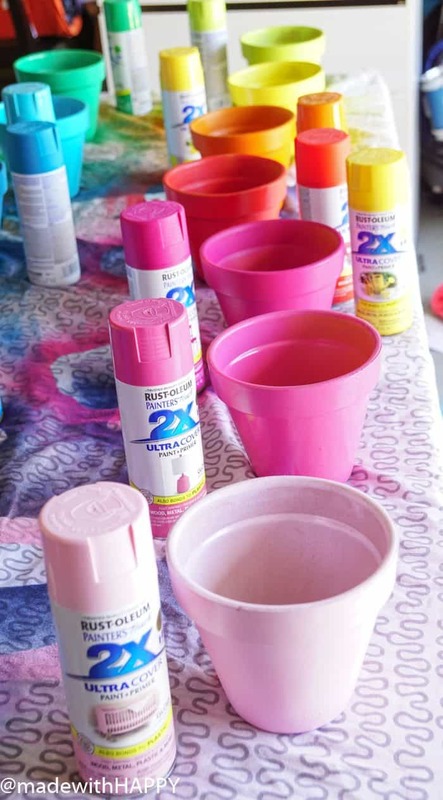 Rustoleum Spray Paint – I used 13 different colors. 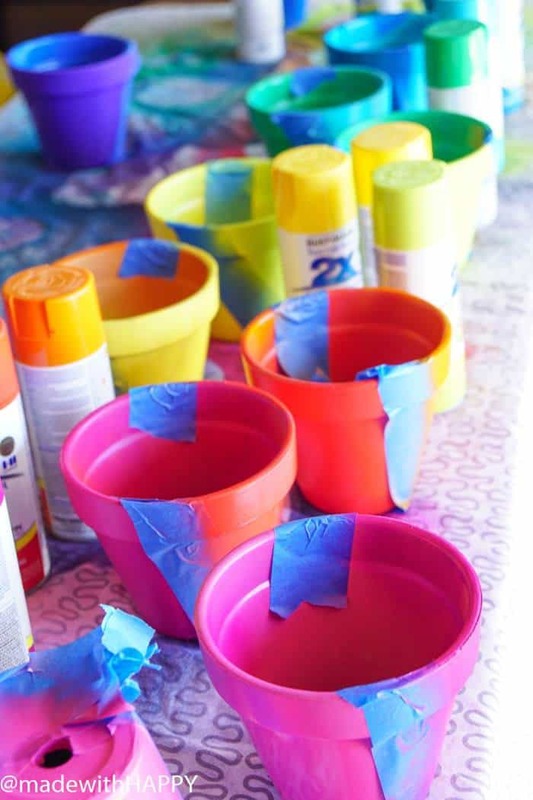 Start by painting each of the pots a different color from your palette. 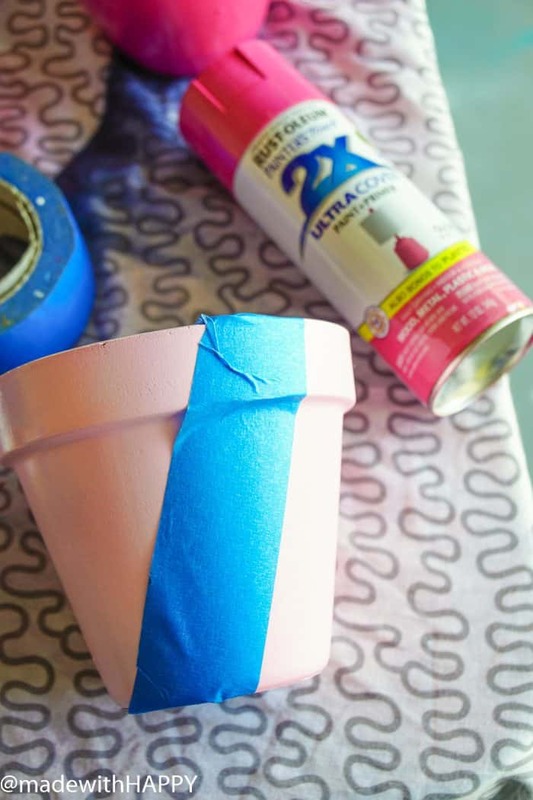 Tape each at a horizontal block pattern. 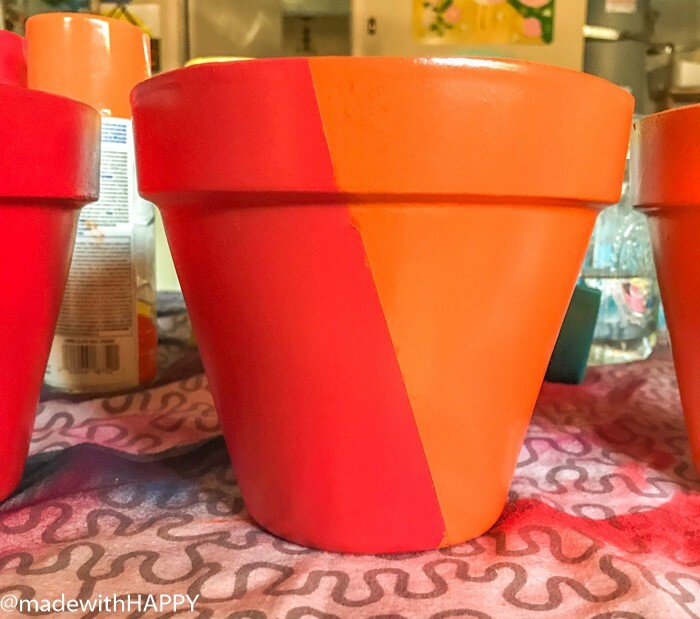 Then keeping in the same rainbow order, simply paint the taped off portion of the pot with the next color after it in the rainbow. Once it dries, you can remove the tape and are ready for planting. 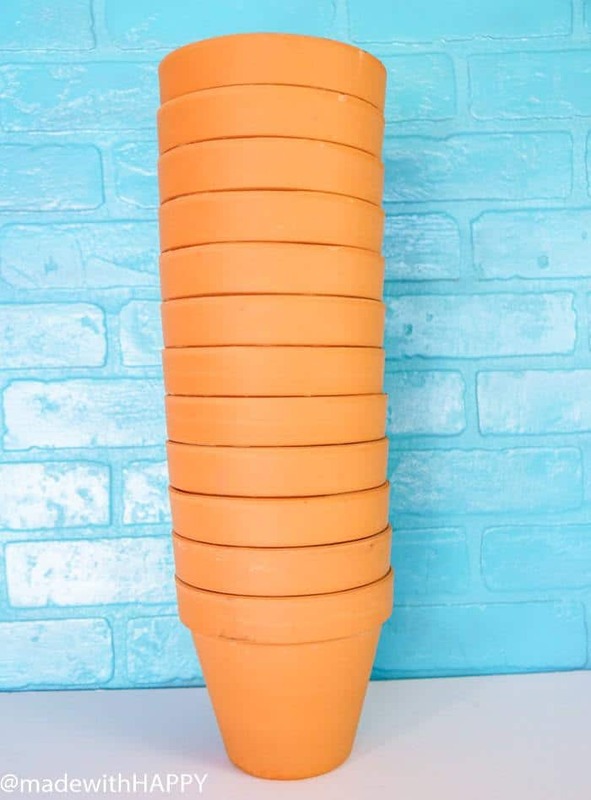 Depending on the amount of sunlight, these pots would be great for all kinds of fun flowers or herbs. Then its time to hang the clips. 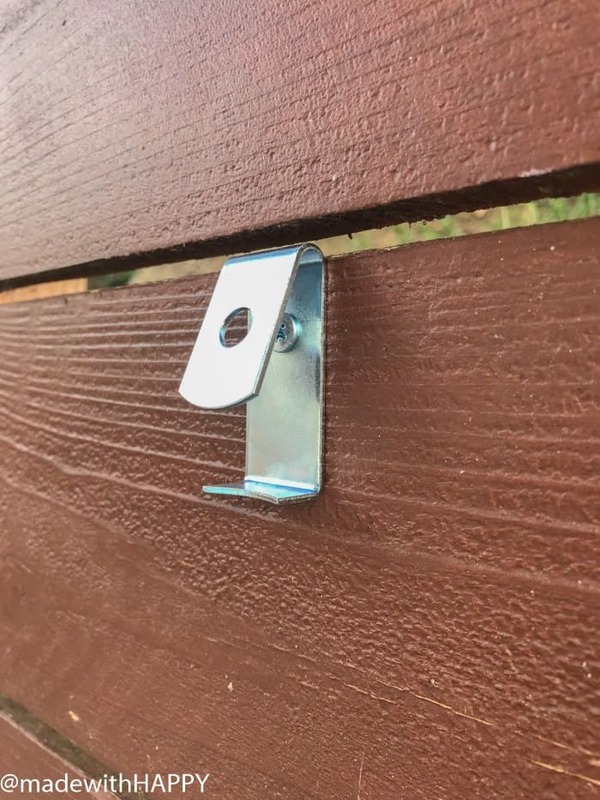 They simply screw right into the wood and clip the pots on. 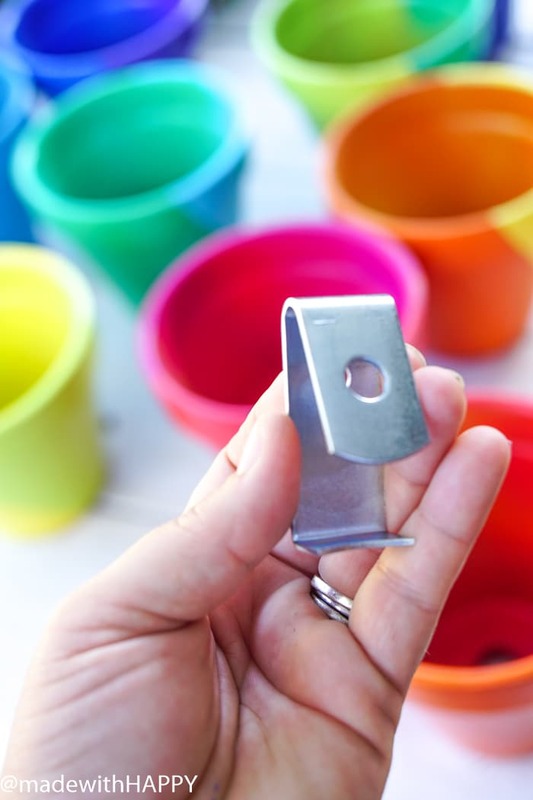 What I love about these little pots is that they are so easy to hang and so easy to maintain. 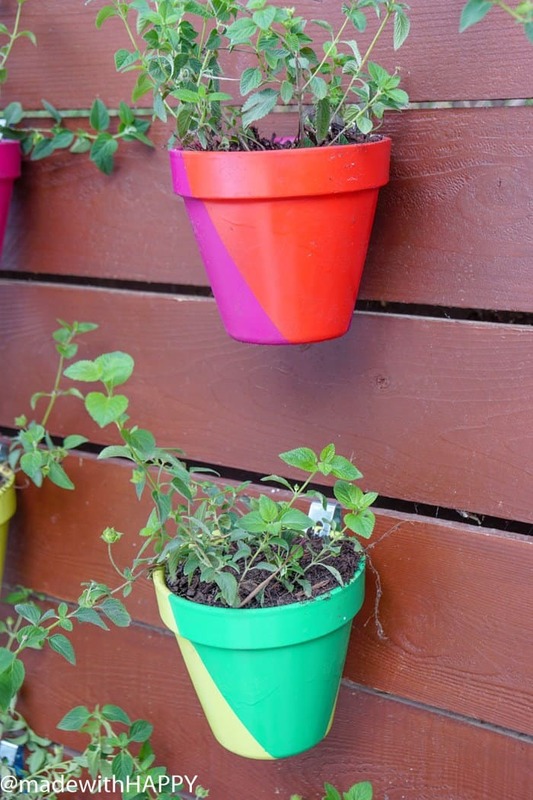 If you too are looking to hang the rainbow vertical garden on the horizontal fence, its simple enough to add drip through the gaps in the fence to maintain watering, or water on your own. 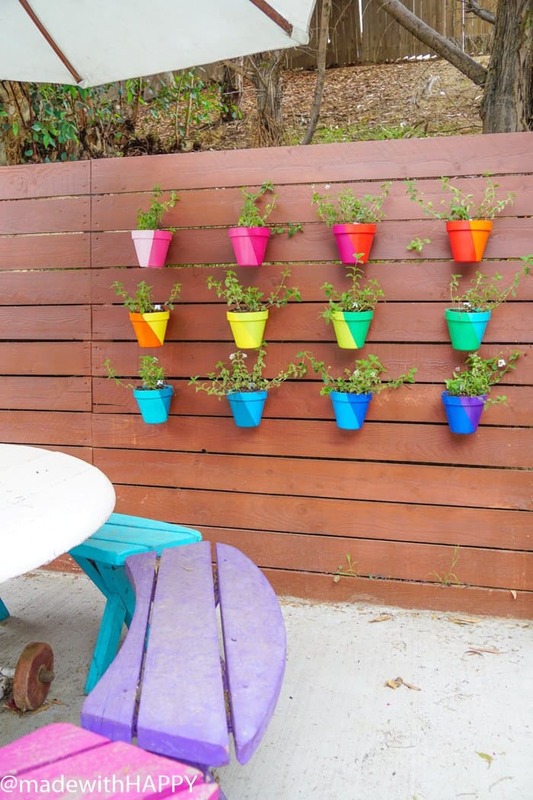 I would love to have succulents in these pots too. 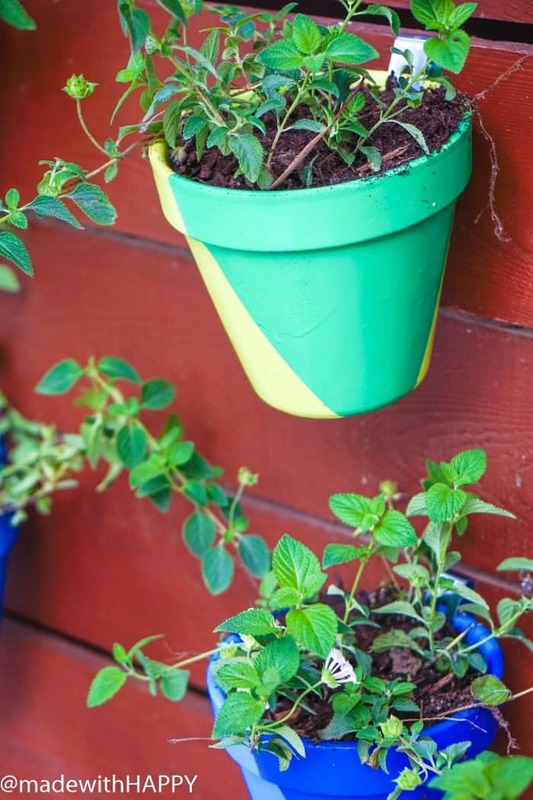 It was too sunny for us to have herbs, but that would be great too!